Wheeling Nailers: Fast-Paced Fun in the Friendly City. While our warehouses and factories stand in testament to our tradition of hard work, the crowd at WesBanco Arena is living, breathing (and yelling) proof that Wheeling plays hard, too. Currently in its 27th season, the Wheeling Nailers is the ECHL affiliate of the Pittsburgh Penguins. And though the hockey itself is top-notch, the entertainment is hardly exclusive to the action on the ice. Live-sport staples such as T-shirt cannons and kiss-cams crank up the fun between plays, and those less bashful can “dance for their dinner” for the chance to win a plate of Undo’s famous spaghetti. For those who would rather spare themselves (and the crowd) from the embarrassment, great gameday food can be found on the concourse level and includes Ohio Valley favorites such as River City, Tito’s Sloppy Dogs and Generations. If you are not familiar with the most blessed sport of ice hockey, I should warn you: it’s not a gentle game. You will probably find yourself on the edge of your seat hooting and hollering as the home team scrabbles tooth and nail to drive the puck into the opposing goal. By the end of the second period, you may be in need of some refreshment to regain your voice. Fortunately, there are offerings for throats of all tastes. For those Nailers fans under the age of 21, ice cream and soft drinks can be found on both sides of the concourse. If you’re looking for an adult beverage, Generations offers a full bar in addition to the beer available for purchase at the concession stands. On Friday nights, be sure to look out for the “Frosty Friday” house beer of the week for only $2. It probably won’t be a handcrafted small-batch IPA, but trust me, there are few things better than a classic American pilsner at a sporting event. Though the game itself is full of excitement, and the home crew puts on an excellent experience for the entire family, the best part of any Wheeling Nailers game is the people. 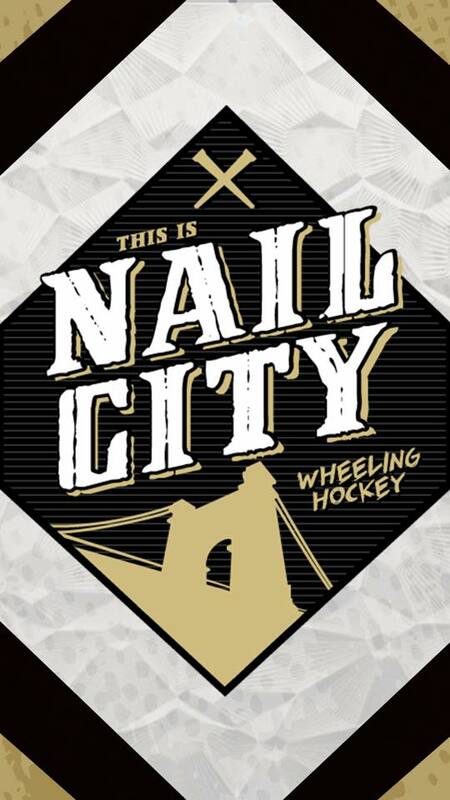 Wheeling is known as the Friendly City for a reason, and whether you’re a season-ticket holder or a new face in the crowd, expect to be welcomed into a great group of folks who love their Nailers and their neighbors.